For some youth the summer means time at the lake learning about the outdoors and survival skills, but for 48 Aboriginal youth in Northwestern Ontario it means an opportunity to gain life skills and exposure to different industries and opportunities in the region. 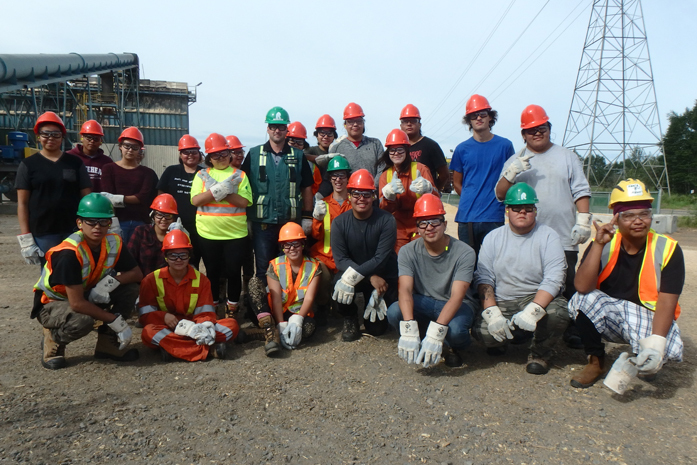 Once again, Resolute is proud to support the First Nations Natural Resources Youth Employment Program (FNNRYEP), a partnership with Outland Camps Inc. and others. This year, in addition to providing work experience in the field of forestry, Resolute was proud to tour the youth through our Thunder Bay sawmill and discuss career opportunities at the facility with an emphasis on trades training. Four proud and dedicated Resolute employees led groups of 12 through the facility, which included discussions on safety, processes and productivity. Based on questions and comments at the Q&A following the facility tour, it was apparent that the youth were both impressed with our safety culture and surprised by the high tech nature of a modern state-of-the-art sawmill. This was a great opportunity to show case Resolute and let the pride of our accomplishments shine through.